Speed training is an important factor in most sports especially those that involve sprinting. Having a greater speed gives the athletes an added advantage over their opponents. For instance, if a football midfielder is faster than their opponents, it increases the chances of scoring a goal. Physical therapists at Enchantment Physical Therapy believe that sprint training is physical activity and therefore best suited to be handled by qualified and licensed physical therapy professionals. It is the reason why they have come up with the best performance programs to help clients gain more speed. Physical therapy at Enchantment Physical Therapy has employed trainers to help clients achieve the different aspects of speed. This means they help the client push their bodies to greater speeds while building agility and facilitating less injury. The first step is to help the client master control over their bodies. Once they do, they will be in a better position of escalating skillful movement. Coupled with strength, their greater ability enhances the client to perform any given task faster on the foundation of strength. Acceleration which is the speed from stop to go. Deceleration which is the speed from go to stop. Lateral which is speed from side to side. And linear speed which is running in a straight line. 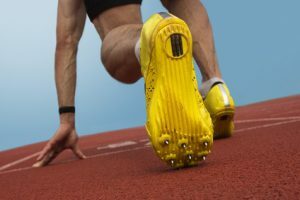 Training techniques should be focused on building strength and exercises that will enhance the four aspects of speed mentioned above. Physical therapists at Enchantment Physical Therapy offer the best services no other physical therapist in Gallup, NM can offer. Visit them to discuss the best course of action for building up your strength and speed.